As of 4:30pm central local reports said the fire remains “uncontrolled” and expanded the extent of the shelter in place order. “City of Deer Park issuing SHELTER-IN-PLACE emergency in Deer Park,” the city wrote in a tweet at Sunday morning. “Please take immediate action and seek shelter,” multiple warnings directed. Nearby Pasadena also told residents that Harris County Pollution Control was conducing air quality monitoring tests of the area, and cautioned residents to stay indoors if at all possible. Firefighters and emergency response crews battled the fire at the Intercontinental Terminals Company in Deer Park, about 15 miles (24 kilometers) southeast of Houston. 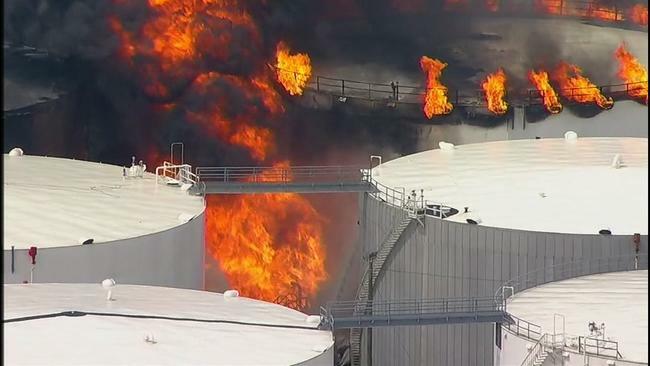 Harris County officials say the fire started about 10 a.m. at the terminal that stores petrochemical liquids and gases, including fuel oil and bunker oil. The company’s website says the terminal has a storage capacity of 13.1 million barrels. Area traffic was gridlocked during the ongoing emergency as major State Highway 225 was closed throughout Sunday afternoon in both directions near the facility. According to local reports, the chemical tanks that caught fire contain a highly flammable liquid hydrocarbon mixture called naphtha, which is often used as a raw material for production and conversion to gasoline. Naphtha is classified as “Extremely flammable” and a dangerous irritant to humans if encountered in “high vapor concentration”. 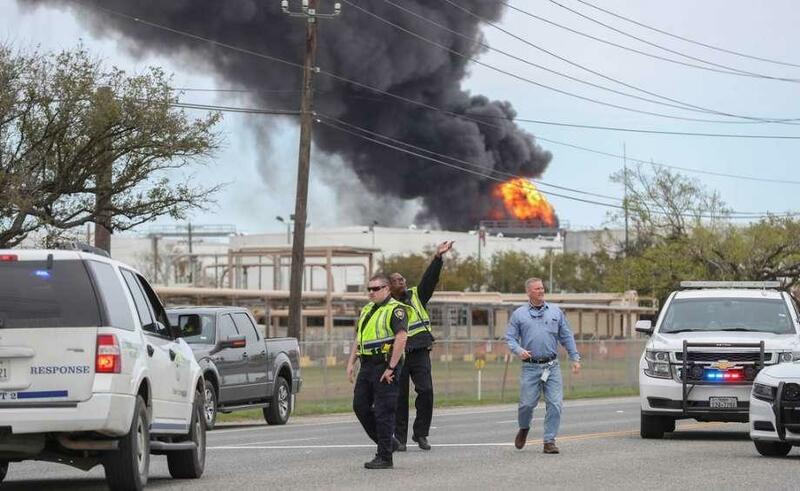 As of late afternoon southeast Houston area residents were still being warned of the potential chemical hazard due to the petrochemical fire.